Pantless drinking at home – Ishay Govender-Ypma gets to grips with kalsarikännit in Finland. Written for SAA Sawubona inflight magazine, July 2017. You’ll remember this. Opening credits roll to Bridget Jones’s Diary. Renee Zellweger’s character sits on the couch in her Christmas PJs, glugging wine, staring down her message-less answering machine to the soundtrack of Jamie O’Neal’s “All By Myself”. It’s a once-seen, never-forgotten clip – wretched and relatable in its pervasive loneliness about our dating culture, circa the Nineties, that had us all futilely waiting by the phone at one point. The Finns have a word for drinking alone, but rather cleverly, they’ve negated the need for jammies and generally one needn’t be heartbroken to partake. They’ve fashioned an on-trend matching emoji to go with it. The word, fully entrenched in Finnish culture is: kalsarikännit. Kalsarikännit is, according to Juha Heikkinen, a musician and member of Day with a Local, Helsinki, “always fun” and “more tragicomic than sad.” He says, “It’s appropriate when you are tired and you don’t have the motivation to go out.” Solo pant-less boozing. The Danes have hygge, a concept loosely woven around cosiness and pleasure. Swedes have logam, or the Goldilocks-ideal of “just enough”. My friend, travel writer Lola A Åkerström, has penned a book about logam, subtitled, “The Swedish Secret of Living Well.” And the Finns have kalsarikännit. As far as living with a joyful heart goes, the Scandis have it waxed. It would take a February trip to the coldest reaches of Finland for me to appreciate kalsarikännit and put it in practice. This time, without the burden of Bridget-style heartache. Picture this: the temperature outside is -10 degrees Celsius at noon. By night we lose another six to ten degrees. Minus 20. It’s not how many sun-loving Southern Africans would imagine wilfully celebrating a birthday. But here we are – in Rovaniemi, Finland, 10 kilometres from the Arctic Circle – stuffed in six layers and resembling wobbly Oros men, scared to death of frost bite. We head further north to Ivalo where the daytime temperatures dip to -30 degrees Celsius. While icicles hang from my hair outside, inside, it’s sweltering. We’re holed up in a modern log cabin that smells sweetly of wood, snug reindeer throws hug the couch and a wood fire blazes near the sliding doors with a view of snow-flecked pine forests for miles. 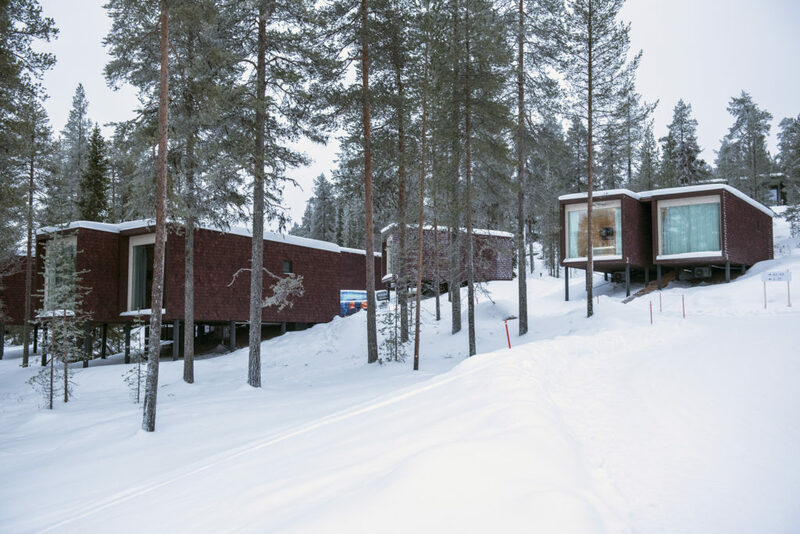 Factor in a lengthy session in the cabin’s sauna – for to be Finnish, one must sauna, and locals will hike up the temperature anywhere from 100 to 120 degrees Celsius. 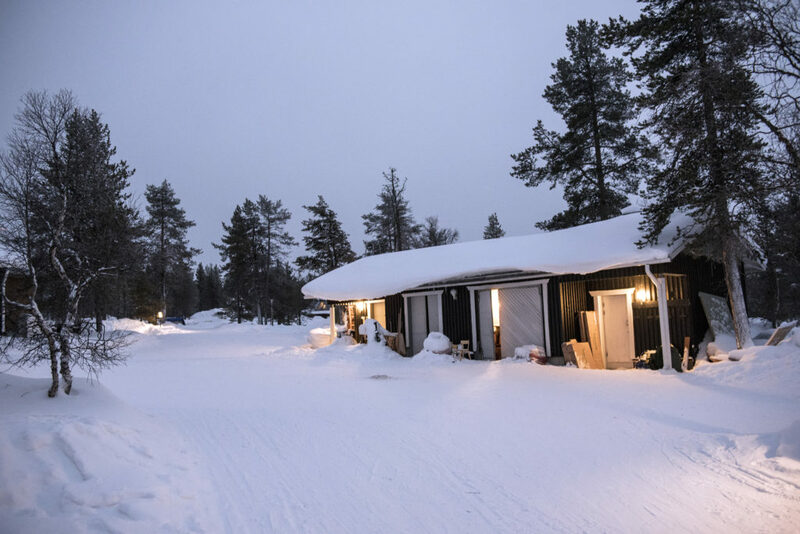 Contrary to foreign beliefs, the sauna isn’t a luxury here – it’s a communal space for the family where clean, showered bodies are warmed, tense muscles are eased, and food can be grilled over the coals. It would make sense then, that after a pore-cleansing session in the sauna and in front of a crackling fire, you keep the pants off while you crack open the red. Naturally, Finns will kalsarikännit winter or summer. While the world continues its intent fascination with Scandi lifestyle ideas, Finns like Lissa and Juha find it amusing. “The hype about this has been somewhat surprising. But, sometimes it’s difficult to see the special features of your own country before someone points it out,” Liisa says. By the time I leave Finland, I’m convinced, in moderate doses, and on days when you’re perpetually refreshing your inbox, there’s a place for kalsarikännit.